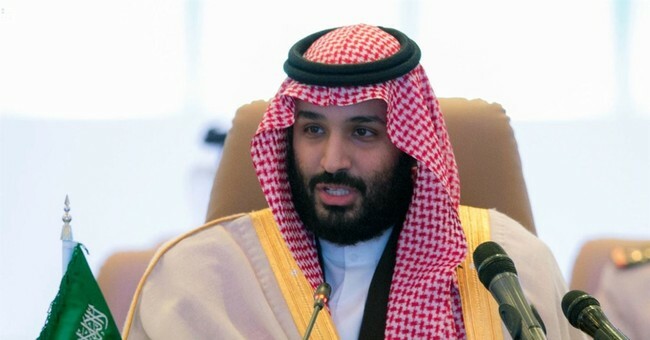 President Donald Trump will host Saudi Crown Prince Mohammed bin Salman for a working lunch at the White House Tuesday afternoon. The two leaders are expected to discuss ongoing threats in the Middle East. Specifically, the expansion of Iranian power and destabilization efforts will be a main focus. “The President looks forward to discussing ways to strengthen ties between the United States and Saudi Arabia and to advance our common security and economic priorities,” White House Press Secretary Sarah Sanders said about the meeting. The meeting comes nearly a year after President Trump visited Saudi Arabia as the first country on his tour of the Middle East. During the visit, Trump have an expansive speech and called on leaders in the region to reject Islamic terrorism. The United States also entered into a $110 billion military purchase deal from the Saudis during Trump’s visit.